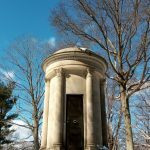 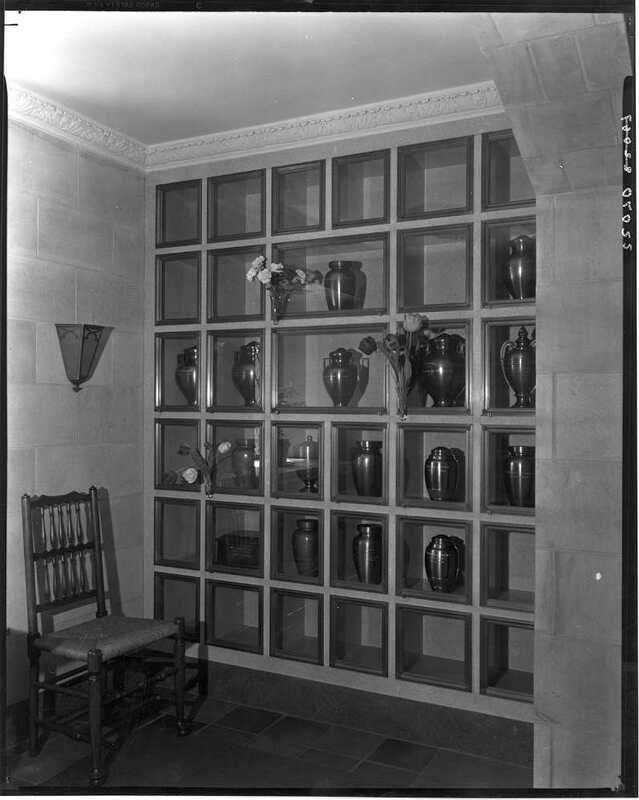 According to Mount Auburn Cemetery’s Glossary of Terms prepared by the Curator of Historical Collections, Meg L. Winslow, a Columbarium is “a structure, room or space in a mausoleum or other building designed to hold multiple cremated remains in niches.” At Mount Auburn we have two public Columbaria, one in each Chapel, as well as private family Columbaria. 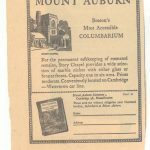 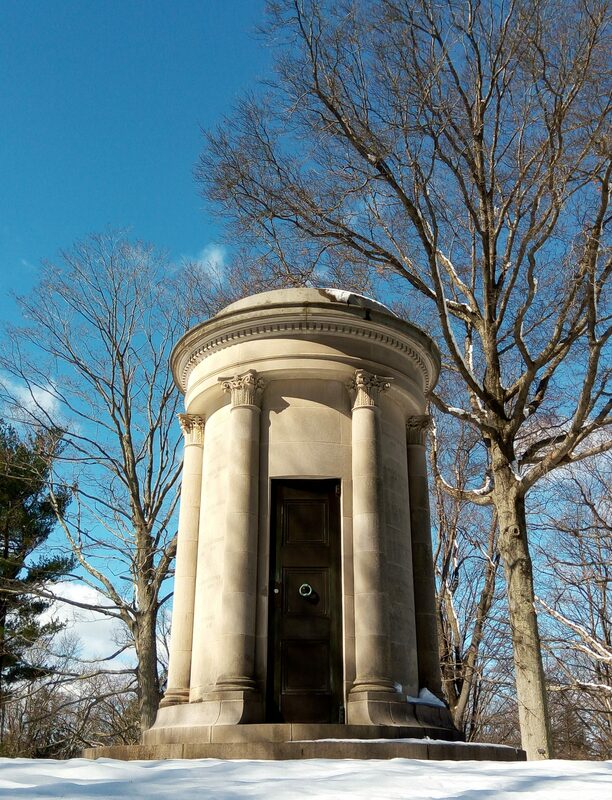 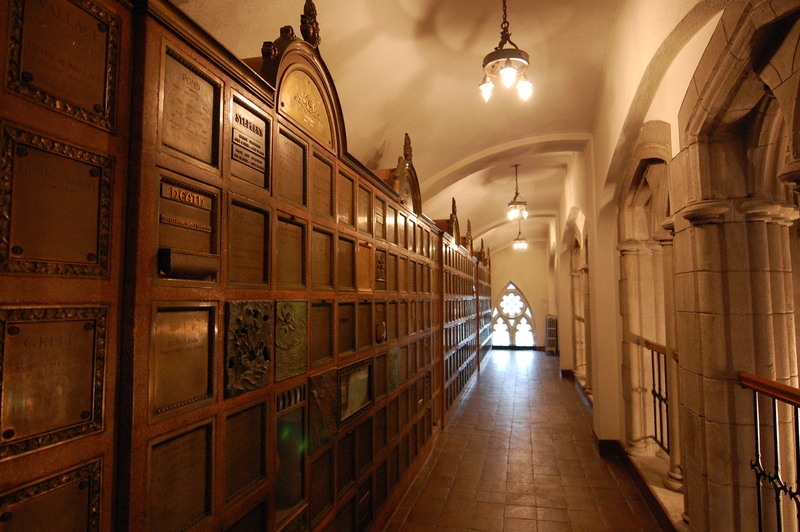 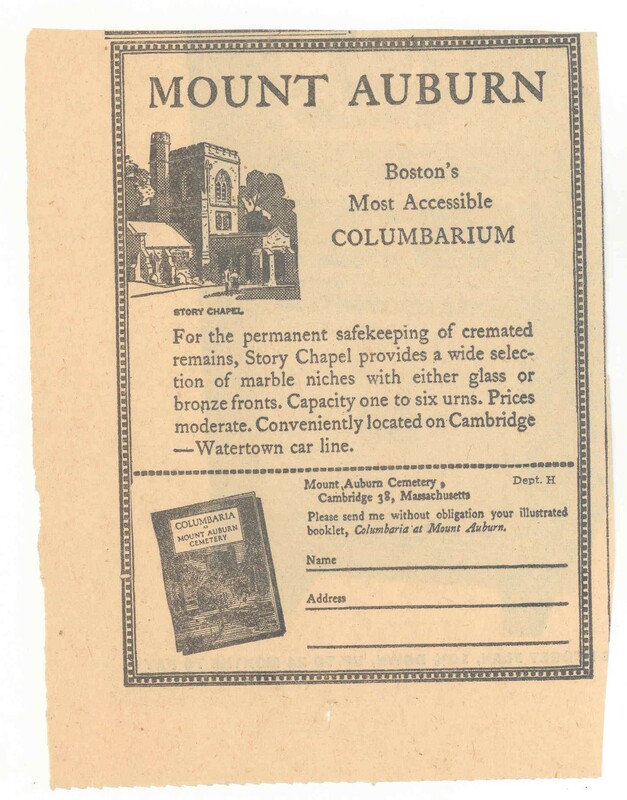 In 1908 the first columbarium was installed in the eastern gallery of Bigelow Chapel (Col. 1). 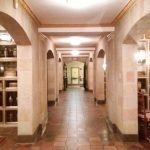 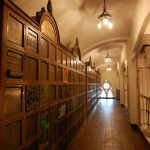 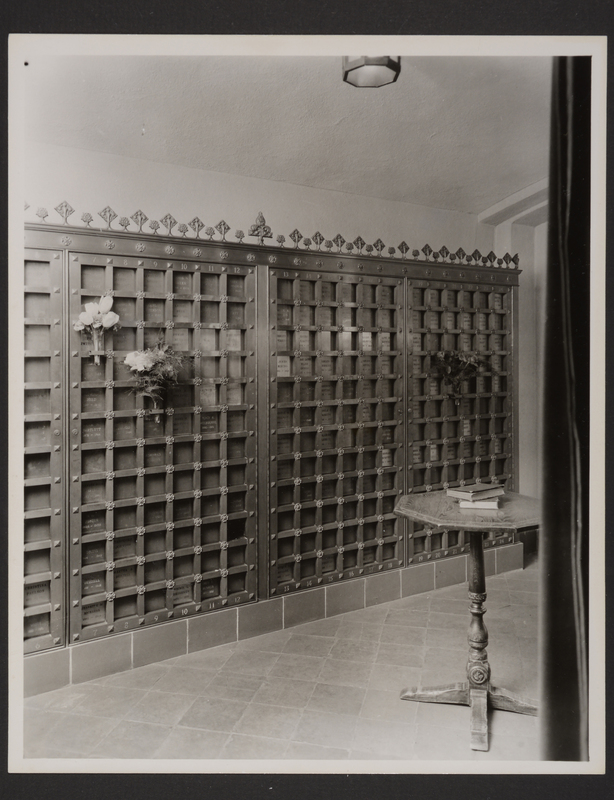 To meet the increase in cremation, additional niches were added to the existing columbarium and new columbarium niches were created in 1934 (Col. 2) on the main floor. 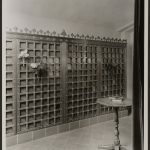 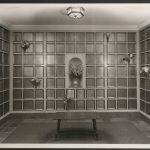 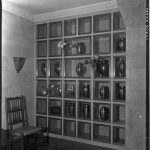 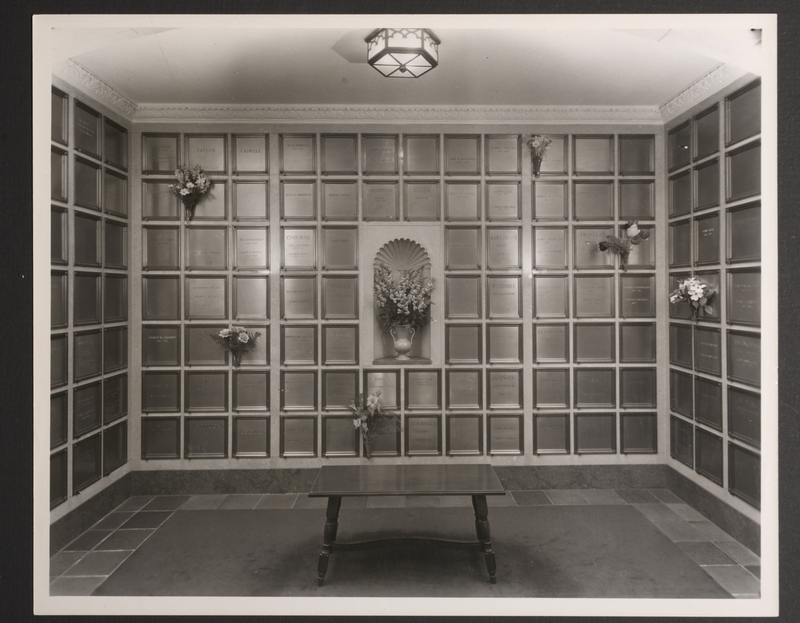 A third section of niches was installed in the west gallery (Col. 3) in 1936. 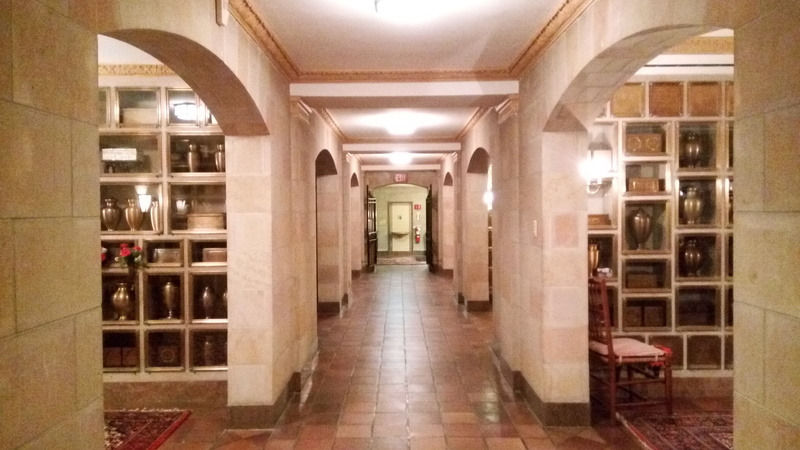 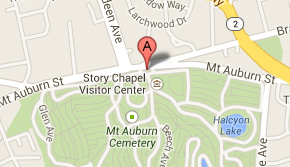 The Story Chapel Columbarium (Col. 4) was built in 1941. 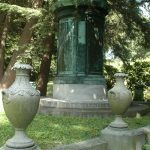 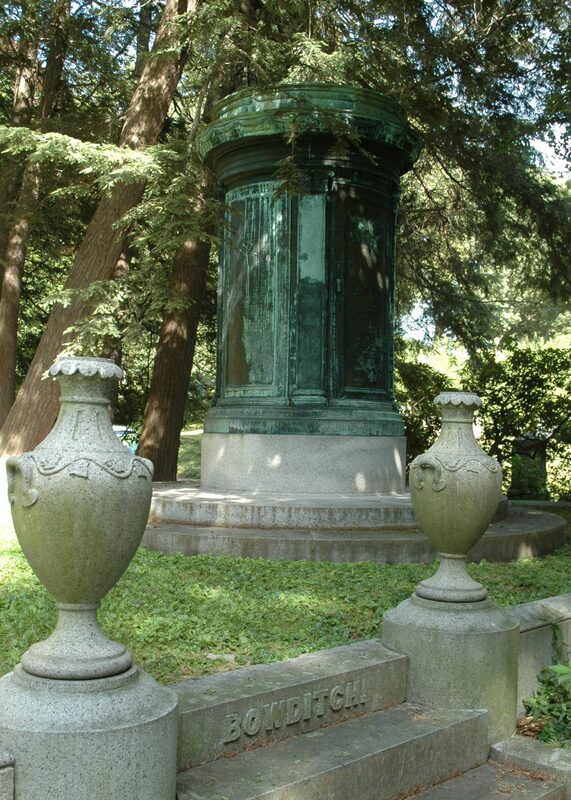 Some niches have a simple or ornate engraved bronze front and others are glass to reveal the urn inside.